Casual traveller hat features adjustable brim, hidden interior drawstring in a stylish superior cotton finish. 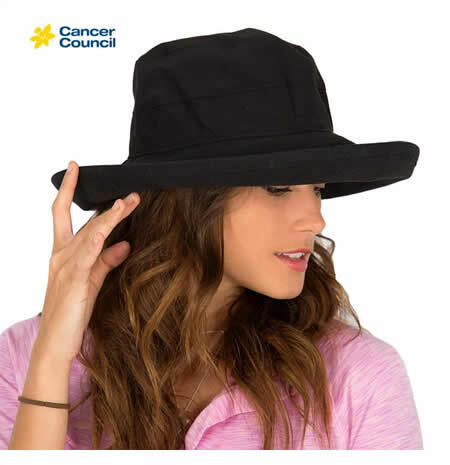 Excellent choice for travelling, this hat is totally crushable, packable and washable. Features our signature, adjustable drawstring head size for best fit every time. This has has been rated maximum sun radiation protection of UPF50+ by ARPANSA.